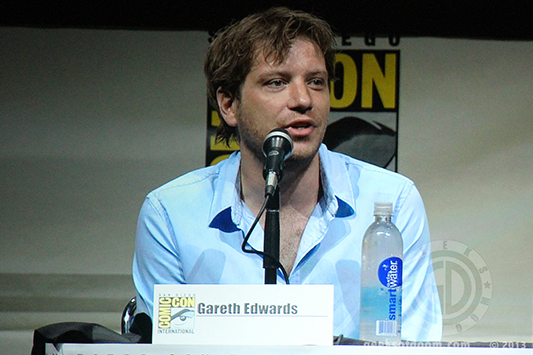 Now that Godzilla has stormed movie theaters to much critical praise and financial success, director Gareth Edwards is seizing the moment by signing on to direct a movie in one of the biggest franchises of all time, Star Wars. Edwards will direct the first of the much talked about standalone spinoff movies, which have been rumored to focus on origin stories of popular characters like Boba Fett and Yoda, though little to no official information has been shared and it’s unclear which spinoff Edwards will direct. “Ever since I saw Star Wars I knew exactly what I wanted to do for the rest of my life – join the Rebel Alliance! I could not be more excited & honored to go on this mission with Lucasfilm. The first Star Wars spinoff will be the next project for Edwards, with a December 16, 2016 release date already set. That said, the director is not stepping out of the Godzilla franchise. He’s still attached to Godzilla 2 AND a potential Godzilla 3 if made, but both of those are down the road quite a bit with the sequel in the earliest stages of development.